So it’s December and Christmas is so close I can smell it. Although that could well be my scented candles. So this is a special festive book nook with some of our favourite Christmas inspired books. I try to keep Christmas books separate for most of the year so they are exciting when December finally comes around. In my wisdom of hiding some festive books last year though, I can’t actually remember where I put them. Never fear, we do have a lot. 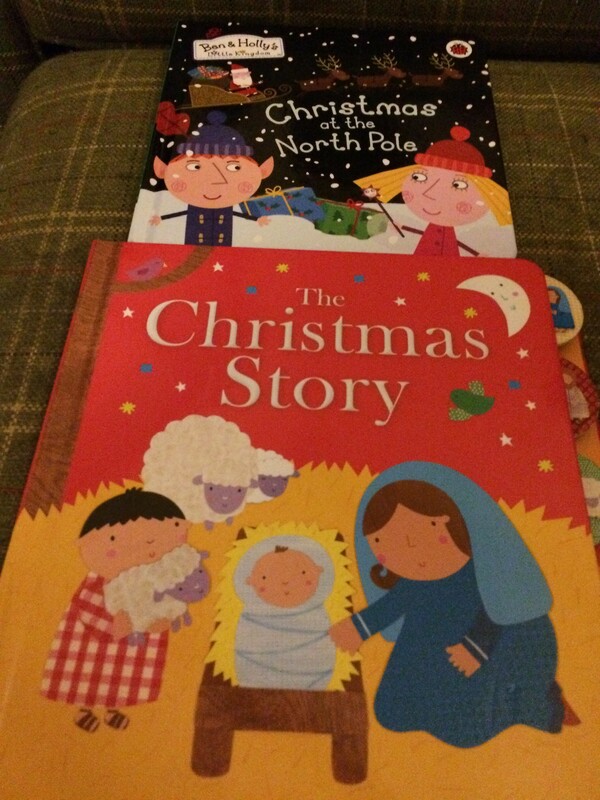 Think Boo’s six Christmases where I have probably bought a couple of Christmas books each year. So really, the only ones I can’t find are my ‘That’s Not My Santa’ collection. Being the Christmas nut that I am, I have obviously bought a couple of new books this year but some in our little book case are golden oldies. Mog’s Christmas by Judith Kerr is a firm favourite and a book we already had but that I had squirreled away (and found). We love Mog and went to great lengths to get the toy from Sainsbury’s last year. 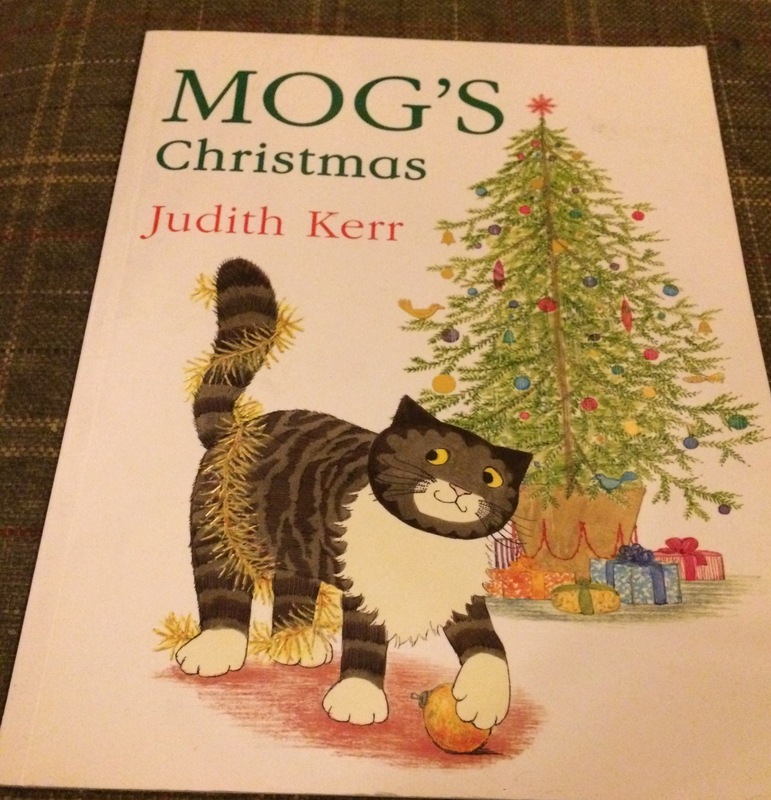 Mog’s Christmas is a must for any Christmas bookshelf and I must remember to try our farm cats and see if they too like boiled eggs. 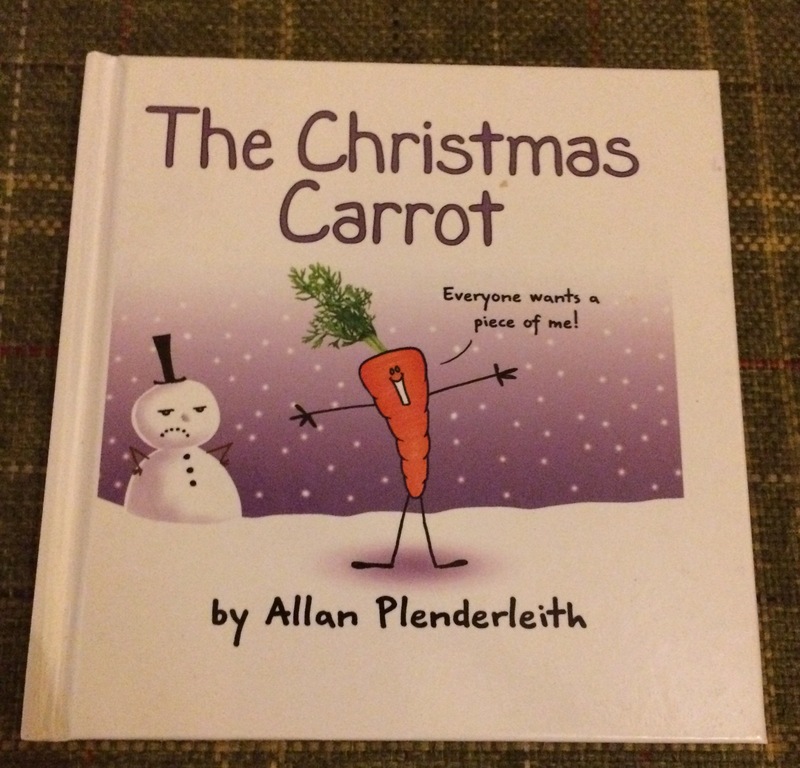 The Christmas Carrot is a great follow up to our previous favourite, the Smelly Sprout. By Allan Plenderleith, this is one of those books that appeals to the adult reading the book as much as the child listening. I won’t spoil the ending but the carrot and the sprout have a lot in common except the carrot is not so smelly. 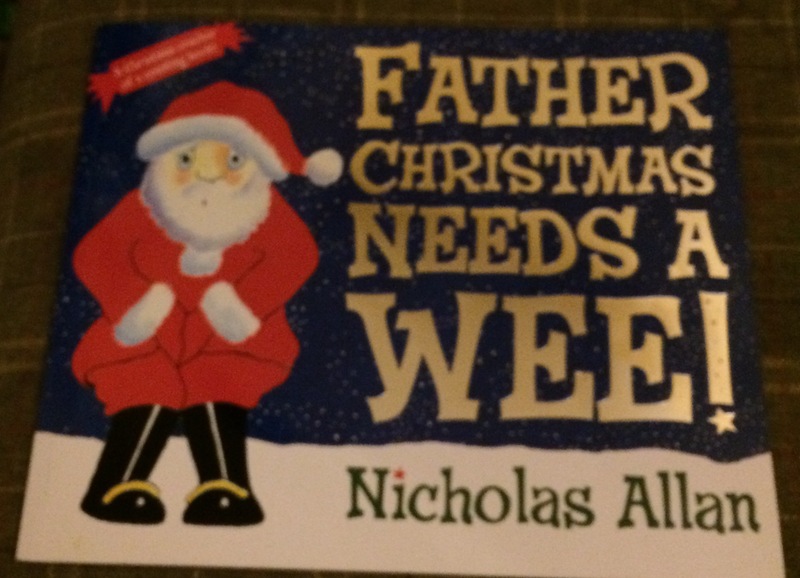 Father Christmas Needs a Wee is written by Nicholas Allen who wrote one of our none-Christmas favourites, The Giant’s Loo Roll. I don’t know what it is, but children love anything to do with going to the toilet and this book is great for learning to count too. 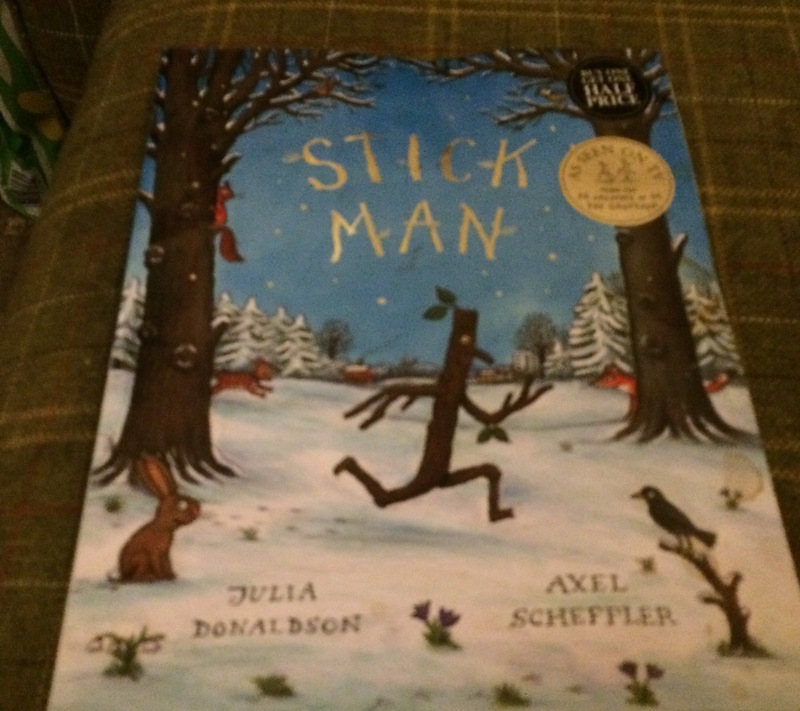 You can’t get more festive than Stick Man by Julia Donaldson and this is the exception to my Christmas book rule. It is on our shelves all year round. We love the rhyming repetition. I used to work near a Waitrose and I bought Mouse’s Christmas Wish for £1.50 in the sale after Christmas when Boo was about two. 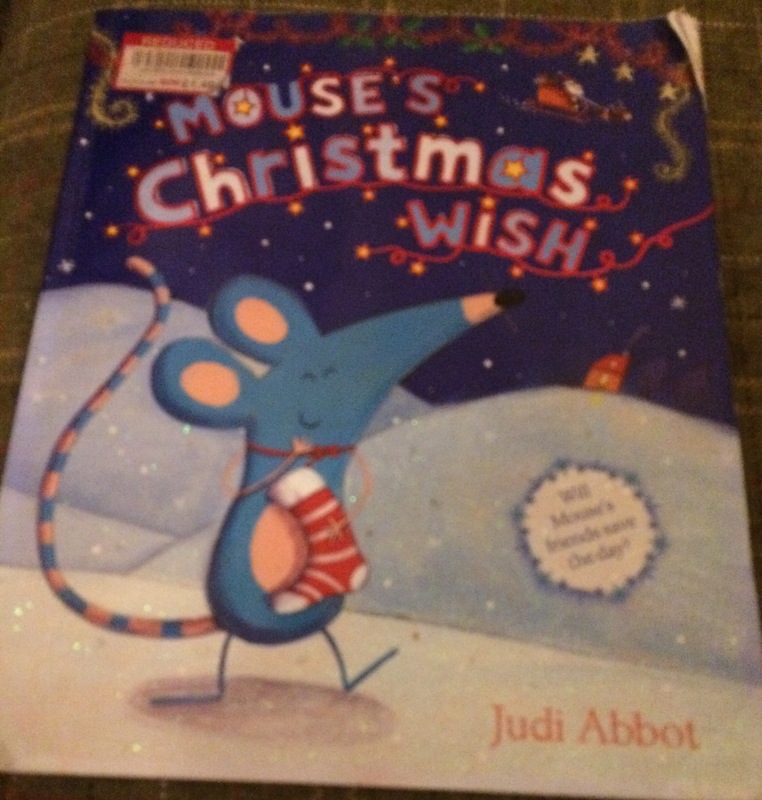 She still loves mice and we all love this heartwarming tale of mouse trying to spend Christmas with his friends. 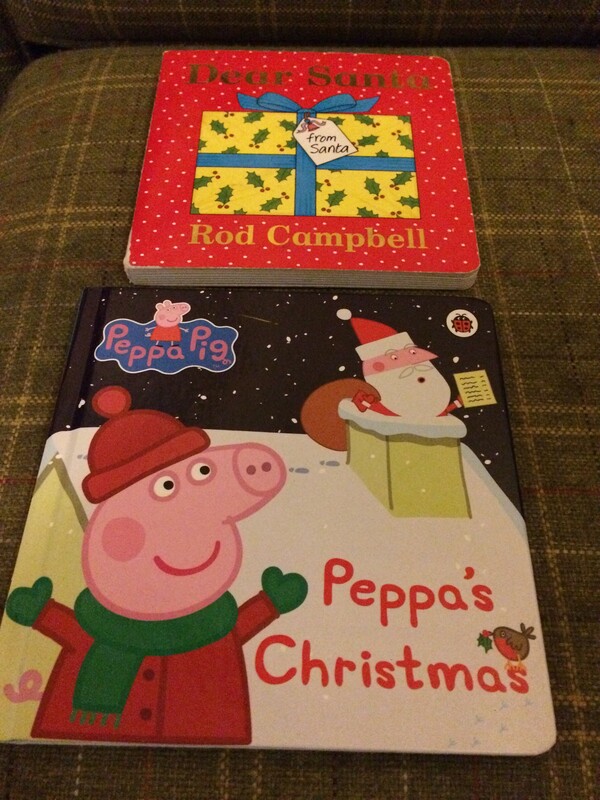 Peppa Pig’s Christmas and Ben and Holly’s Christmas at the North Pole were new purchases this year to appeal to G along with a festive Thomas the Tank Engine book which I couldn’t locate to photograph. He loves all of these characters but to be honest, Boo has had just as much fun looking at them too. Dear Santa by Rod Campbell was Boo’s and while she still loves this book, it has been passed onto G and is a great gift idea for toddlers at Christmas. Last but not least is the Christmas Story published by Lion Children’s. You can’t beat a Nativity story with cute pictures to tell the real meaning of Christmas. I think we have had this book for at least a year but you can check out Lion’s latest Christmas books here. Personally, I hadn’t planned to read anything myself in December. What with wrapping, baking, tidying and stopping a certain 22 month old from pulling the tree over (again), I didn’t think I would have time. 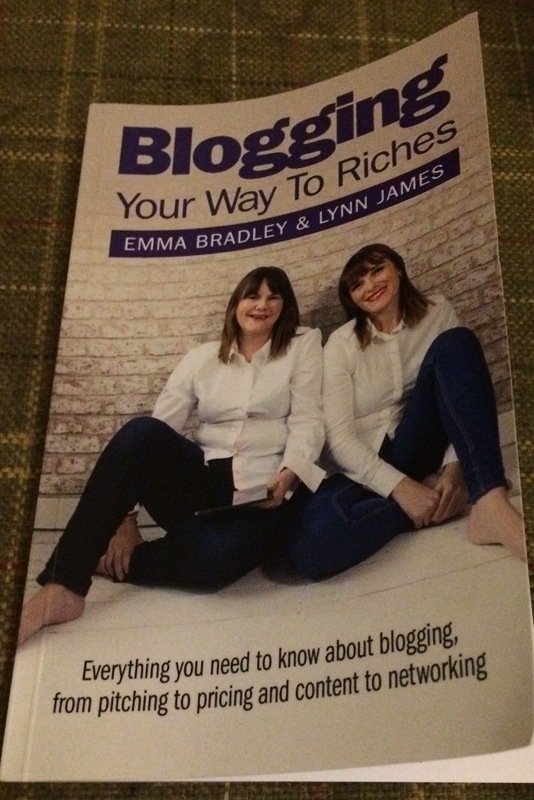 I did however purchase Blogging Your Way to Riches by Emma Bradley and Lynn James as a little Christmas present to me with the intention of reading over Christmas. What a fool. As if I would have been able to wait that long. I read it in two days and I plan to review it fully but I couldn’t leave it off the December Book Nook as it is proudly on the shelf. I am actually looking forward to the January Book Nook now as Boo has asked for a book off Father Christmas so I imagine the shelves will be filled with shiny new books for our reading delight. I hope you get some lovely books for Christmas. Oh great to know you got through the blogging book so fast, I might have to start reading it, I’ve been waiting for the Christmas break too. Mog is my fave although it always makes me sad now because we had a cat that looked just like mog but she got killed on the road last year 🙁 We enjoy father Christmas needs a wee too! I’d love to read the blogging book, I must treat myself to some new reading material soon. I love all the christmas reading ideas too (we have a few but not all of the books featured).